New Construction: CopperWorks installs lifetime roofing solutions in copper and zinc. Many clients choose an entire metal roof system in copper or zinc – standing seam, metal tiles, stamped panels. 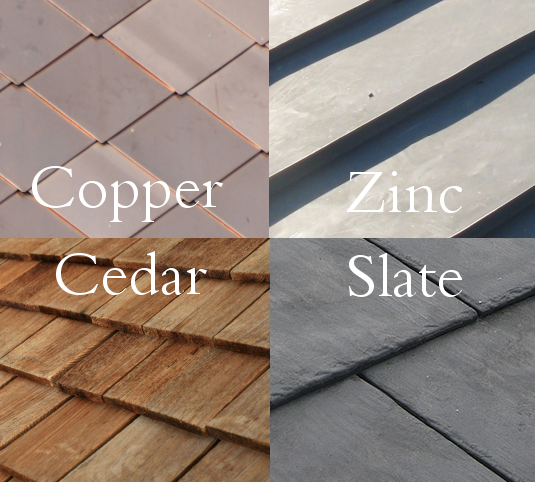 Others choose copper and zinc for edge metals (flashing; ridges, venting, gutter & downspout) to ensure the lifespan of other roofing solutions, such as lifetime shingles, tile or slate. 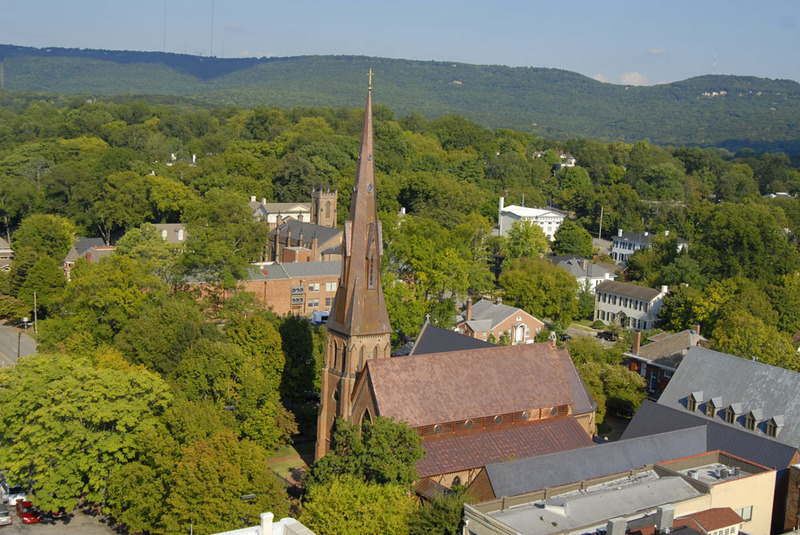 Historic Preservation: CopperWorks specializes in the installation of roofing systems for historical residences, liturgical buildings, universities, and public buildings. Services range from planning & technical consultation through installation. Architectural Ornaments: CopperWorks creates products in cooperation with its sister company, Ornametals Manufacturing, a fabricator of copper and zinc ornaments such as connector boxes (leaderheads), finials, dormers, vents, cupolas, and more. In addition, CopperWorks is a dome specialist, having installed domes and related roofing elements throughout the U.S. Whether you are planning a new structure or renovating an existing one, CopperWorks can help you find a durable, quality solution for all your roofing needs. Just because our name is Copperworks does not mean that Copper is all we work with. Copperworks has decades of experience in many high end roofing materials, mainly copper, zinc, cedar, and slate. We can craft and install any of these types of roofs as well as add elements of these materials to high quality shingle roofs, such as copper flashings. Though we have a wide range of experience in large scale projects, our main source of work comes from residential housing. You don’t have to be a millionaire to afford a quality, long lasting roof from Copperworks. CopperWorks fabricates, restores and preserves custom zinc and copper gutter systems, cupolas, finials, towers and other architectural elements for projects throughout the world. We utilize techniques that have been passed down for hundreds of years, along with modern methods and equipment. This is actually the fourth generation to be doing this work!